...behind the pretty photos in catalogs? Is there one? Have you ever wondered just WHY a particular object has been placed in the room or if REAL people really do that? Then this blog by a California humorist is for you! My daughter clued me in on the blog and I've been laughing hysterically ever since. Enjoy the dialogue of 'Elaine' and 'Gary' as they live their life in the pages of West Elm, Pottery Barn, Pottery Barn Kids and Restoration Hardware. Even Ethan Allen is skewered in the most delightful dialogue. 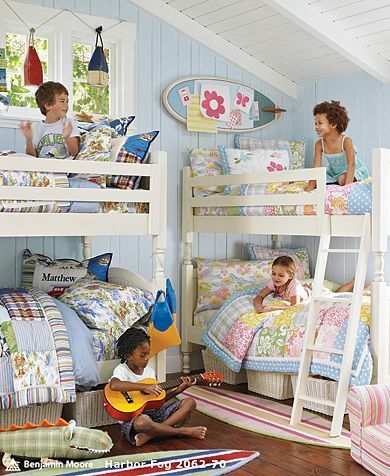 It's called "Catalog Living" and it's a hoot-and-a-half-on-steroids. Really. You must read it. And weep. From laughing so hard. Really. Secretly, Gary had always wondered if all these children were indeed his. Today was no different than any other this summer - it was hot, then it was hotter followed by some more hot. It's Texas. On steroids. Which means you can't let the kids out to play until the bats are flying out of the caverns to find dinner. Yet, unlike bats, kids don't hang upside down, sleeping, until the "witching hour". Poor kids. Poor mama. Poor grammas. So after 7pm, we decided to go to one of our local frozen yogurt establishments, which have sprung up all over the great state of Texas like Chesapeake Energy drilling rigs. Thank goodness. The temp was down to, oh, the mid-to-upper 90s by this time, a virtual freezer locker for this time of year. We filled up the kids with frozen yogurt and then as we were leaving, they seized their opportunity and made a run for it. All the way down the length of the sidewalk of the shopping center. It was J.O.Y. So we stuck around for awhile and let them run, play, scream, yell, rinse, repeat. 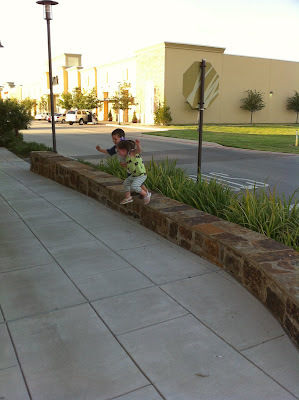 Mirai wants to do everything her cousins do so when Ben and Luke started jumping off the retaining wall of the landscaping, Mirai wanted to try. But it was a leap she wasn't overly confident making. So she held her hand out to Luke who GALLANTLY took it like a gentleman, stood and helped her jump. 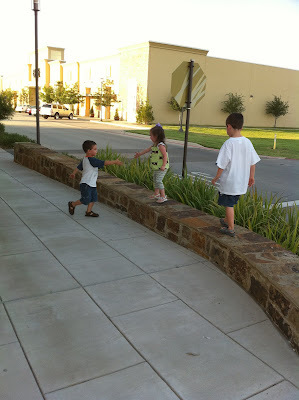 The next time they were both up there, they held hands and took the plunge together. And my heart melted. Life is good. Can't beat 'em, join 'em...the kids have been after me for ages to set up a blog and I've finally decided to bite. It's a bit unnerving to set up an online diary which is what it seems to be. I frequently put my foot in my mouth when speaking so I'm sure this blog will serve as another vehicle for me to do the same. I've kept journals for years and oddly enough wondered if I should keep them as I didn't know if I wanted anyone to read them! So what am I doing putting my thoughts up for the world to read!? Shedding the last of my inhibitions in my semi-old age? No, just keeping up with my kids who blog all the time (blog envy...it always boils down to that, doesn't it?) About me - I'm 53, married to my first husband for 34 years next August (everyone knows that First Editions are the most valuable), world citizen (15 moves, 5 countries - yes, New Orleans should be classified as a foreign country), mother of 3 by birth, 3 by marriage, grandmother of 6. I am a huge proponent of "home and hearth" and hope to positively influence my own children as they establish their own solid family community and keep the home fires burning!